Farmers markets, other outlets and delivery service. We do not deliver via online orders. Our ethos means we establish relationships with those who come to Farmers' markets. We therefore happily deliver to those of our market customers who cannot make a market for some reason or who would like something in between markets. Deliveries take place on Fridays ready for the weekend, and Mondays ready for the week ahead. We deliver within a roughly 30 mile radius of Sudborough, NN14 3BX - contact Sara to order and arrange delivery. The map below indicates our rough delivery area. Based in Northamptonshire, but on the borders of Buckinghamshire, Bedfordshire, Lincolnshire, Leicestershire and Cambridgeshire, you will find us at local markets and in small local outlets. Whether you need a Salad Herb pot or a Tasty Teas pot for the office, or have forgotten a colleague's birthday, we will have a herb pot suitable for your taste buds and the occasion! A lovely market situated in one of the few High Streets (probably!) to still have a butcher, baker and a shop selling candles (in lieu of the actual candlestick maker)! Olney, scene of the famous annual Pancake Race. And equally delicious food available the rest of the year at the Farmers' Market. A lovely market town, with a thriving High Street, which is well worth a visit. A vibrant, well-regarded, old market town with a history of markets from time immemorial! The Old Rectory Gardens are beautiful. A place of inspiration. 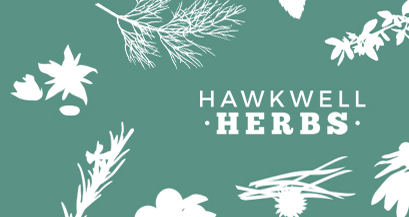 Our Herbs of the Month are available in their cafe, during the Gardens' Open Season. The Gardens are open to the public on Tuesdays and Thursdays during that season and on other specially-arranged occasions. We highly recommend them as a place to visit. A lovely market. Small, friendly, and focused along the High Street, which still has lovely individual shops. Based in the Market Place, a large market. Home of the famous pancake race, Olney has a thriving High Street with quite a few independent shops amongst a fair chain shops. A friendly, compact market. In the market town of Oundle. Surrounded by independent shops in a charming town.